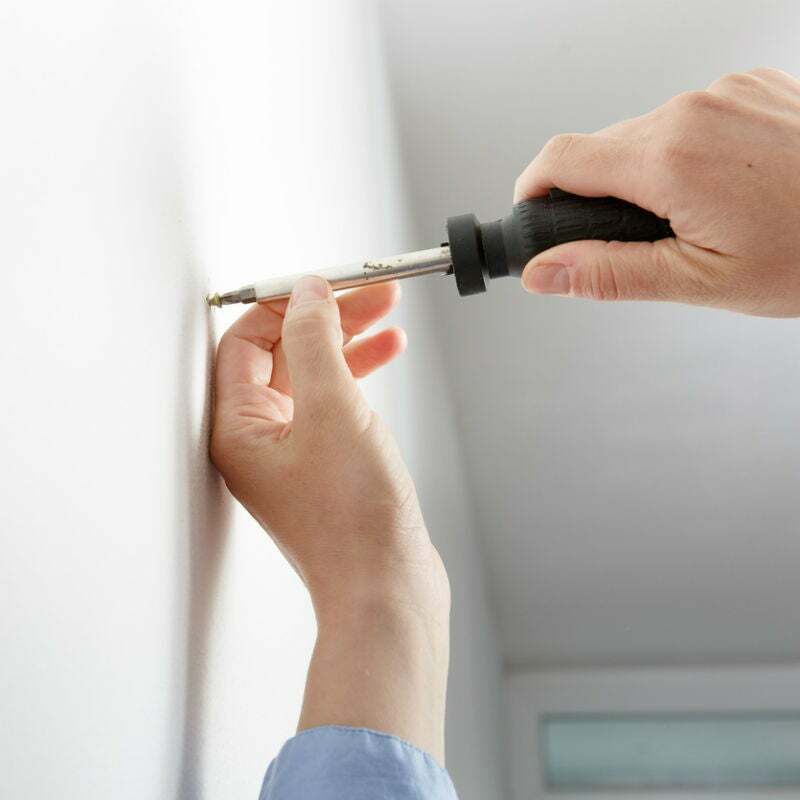 Banish the bulges caused by nail pops before you paint to achieve flawlessly smooth wall surfaces. Q: I just bought a house and am planning to paint over its existing green interior walls with a fresh coat of country white. I’m concerned, however, that the handful of small circular bulges I’ve spotted on the walls will still be noticeable after I repaint. My neighbor told me the bulges are popped nails—spots where nails have worked loose. What I can do to get rid of them? A: Congrats on your new home! You’re correct about those bulges: Left unrepaired, they’ll be visible after you repaint. Fortunately, popped nails (also known as “nail pops”) aren’t too tough to fix and typically aren’t serious—although there are a few exceptions. Keep reading to understand the causes of nail pops, the problems they could represent, and how you can achieve perfectly smooth walls. Nail pops are largely due to wood or drywall movement and often appear within a year of construction. Lumber used to build houses may contain moisture, which is often absorbed from humidity in the air while lumber is stored in open-air warehouses. After construction, as the wood slowly dries, the studs may shift or twist slightly. This can cause individual nails to move, and when a nail holding drywall moves, it loosens the joint compound covering the nail. The result is a tiny bulge on the wall surface or, in some cases, a visible nail head if the drywall compound comes loose and falls away. This is the most common cause of nail pops and it’s completely cosmetic. There are no structural issues to worry about, and repair is fairly simple. Repair popped nails with screws. Just tapping the nail back down with a hammer will solve the immediate problem, but eventually, the nail will probably work its way back out. A better solution is to tap the nail back down and then insert two drywall screws in the stud, one about an inch above the nail, and one about an inch below the nail. The screws will attach the drywall panel securely to the stud. Choose the right length of screw to reinforce a popped nail. Short screws that barely penetrate the stud beneath the drywall panel may pull loose in the future, leaving you with more pops on the wall surface. The general rule is to use screws that will penetrate the stud by a minimum ¾ of an inch. 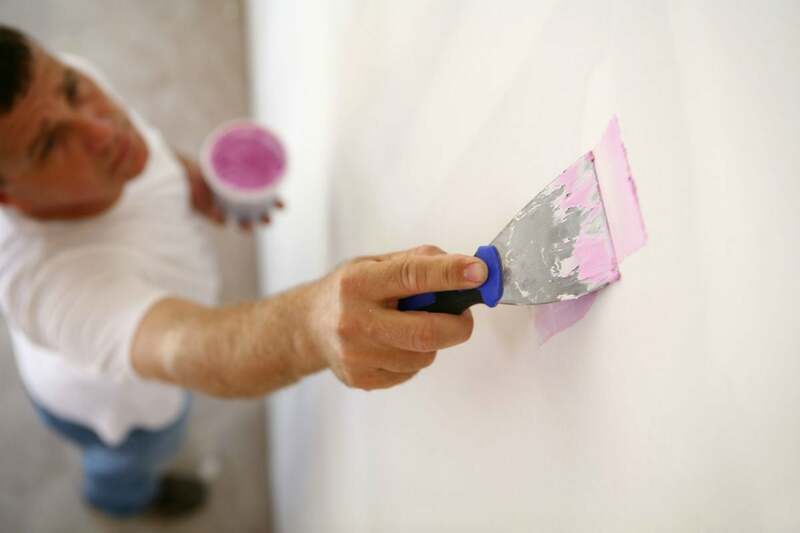 For example, with ½-inch thick drywall, you’ll need a screw at least 1¼-inch long. Add more screws if you suspect skimping. If the installer failed to use enough fasteners, the drywall panel might not be securely attached to the studs, resulting in movement and popped nails. When hanging drywall, a fastener (preferably a screw) should be inserted every eight inches along the edges of the drywall, and every 12 to 16 inches in the center of the panel over every stud. If you suspect that this happened when your home was built, you may wish to insert additional screws (one every 10 to 16 inches) over the studs to reduce the risk of future pops. Fill indentions with drywall joint compound. 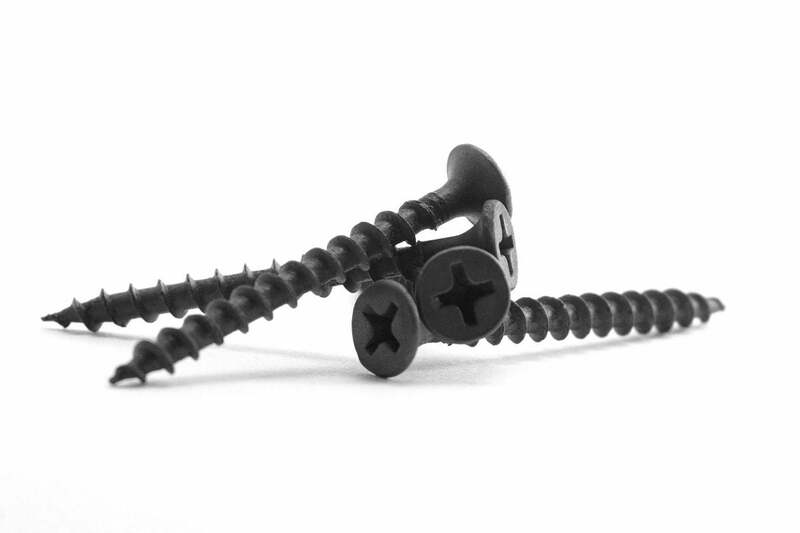 Drywall screws are designed with trumpet-shaped heads, which allows you to insert them just beneath the surface of the drywall, but they will leave a small indentation. Smooth over indentations with a little joint compound—a quarter-sized glob should fill most nail and screw indentions. Apply with a putty knife, then smooth away any excess. 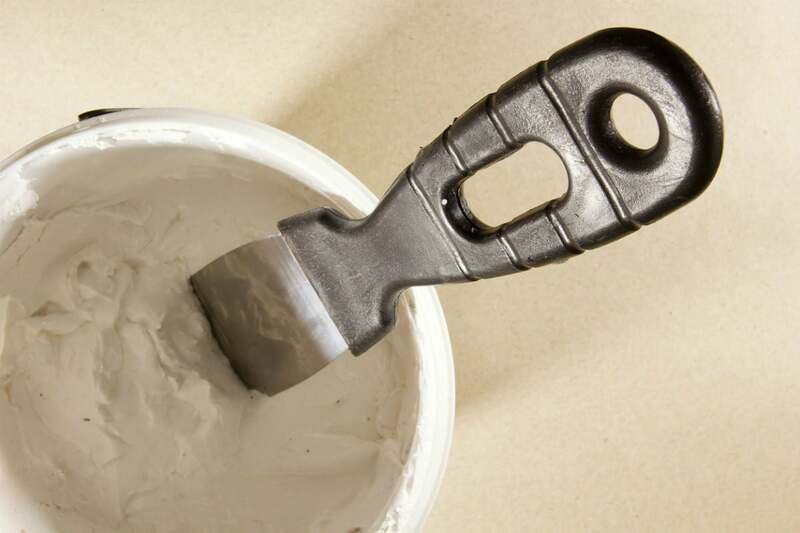 Let the compound dry at least 24 hours, and then apply one more thin coat of joint compound with the putty knife. When that dries, sand over the compound with a drywall sanding sponge, and then roll on a new coat of paint. Inspect trusses, where uplift can cause nail pops. If you noticed popped nails in the walls of your home, you may wish to do a bit of investigating for similar bulges on the ceiling—which can indicate a more serious problem. Today’s homebuilders often use manufactured trusses to construct a roof rather than building the roof with rafters. Some wood members in a set of trusses are designed to move slightly with attic humidity and temperature fluctuations, and so many modern drywall installers use a special attachment technique when hanging drywall on a ceiling made from trusses. If they attach the drywall directly to the underside of the trusses, however, when the trusses lift, nail pops can occur in the ceiling drywall. Depending on how much the truss moves, in addition to nail pops, you might also find a horizontal crack between the ceiling and the wall. In order to fix this issue, a contractor should remove the drywall panels and install news ones attached to clips or blocks, but not to the trusses themselves. Popped nails in combination with other issues signal a bigger problem. Doors that stick or won’t shut properly. Cracks in the drywall around windows and doors. Cracks in the corners of the ceiling. Visible cracks in the foundation. If your house has one or more of these issues, it’s a good idea to have a contractor or a structural engineer take a look. Structural problems should be addressed before repairing popped nails.